✅ Trip Verified | Staff don't know English well. They are not polite and respectful. The airport is extremely cold. Wifi hard to use. We had a 10 hour layover at this airport. The experience was horrible. It seems that the airport does not have any heating system. We did not have any jackets and we were freezing (and we live in Canada so we are fine with cold weather in general!). It was so cold that we could not even sit waiting so we decided to ask the information desk for blankets. The lady working at the information desk in an international airport could not speak English properly. She didn't even know the word "blanket". She had to use a translation application to talk to us. In the end we were able to get the blanket but we were still cold and we had to return it 1 hour before our flight (because the information desk closed at 11.30 pm). In the end we decided to go sit in KFC. The wifi is hard to use since it keeps disconnecting. Many website and applications are censored. (Google, instagram, youtube, Facebook, etc). ✅ Trip Verified | Poor English ability of ground staff at Beijing airport. Staff working at the airport are not friendly or trying to help when you need. Staff show zero smiling face. 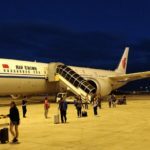 Beijing immigration officers may not apply regulation on you without telling you any reason so forget about asking WHY !! Not Verified | Unpleasant surprising departing experience. Looks beautiful from the outside but ugly from the inside. The airport terminal management should take a look at the reviews if they seriously strive to improve. If not, the biggest joke of the millennium. Will certainly avoid this airport in near future travel. Very hostile, especially from the immigration security check point staffs to departing passengers. "by far the worst airport"
Not Verified | This is by far the worst airport I have ever been to in my life. We booked a flight with a 10 hour layover so that we could do a quick visit of Beijing. We did the research and it was doable, many companies actually offer layover tours for layovers of more than 7 hours. However, once we got there no one could guide us to the right counter, only a fellow tourist actually helped us. Once we got there a rude woman just yelled "no" at us and sent us elsewhere. Since no one in this entire airport spoke English and staff kept lying to us repeately (via translating apps) we had lost too much time to leave the airport and had to stay the entire 10 hour layover in this airport. Please note that this airport does not seem to have any kind of heating so with 0 degree temperature outside, the waiting hall was only marginally warmer and I think I've never been so cold in my entire life. So if you can't avoid a layover here, bring many layers of warm clothes and don't expect to be allowed to leave the airport if you don't have at least a 24hour layover. Also brace for very rude and incompentent staff. ✅ Trip Verified | Beautiful airport and one cannot help but being awed by it. 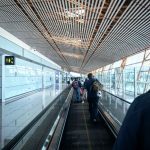 However transferring from a domestic to international flight, at least in my experience, and having to still check in for the next legs, was a hassle. We had to ask some three people where to do it, take a bus and then the people mover. Going through security, with all the yelling, the beeping, the handling, the tight spaces was hellish. The signage didn’t help much at some point either. ✅ Trip Verified | A big, modern airport. 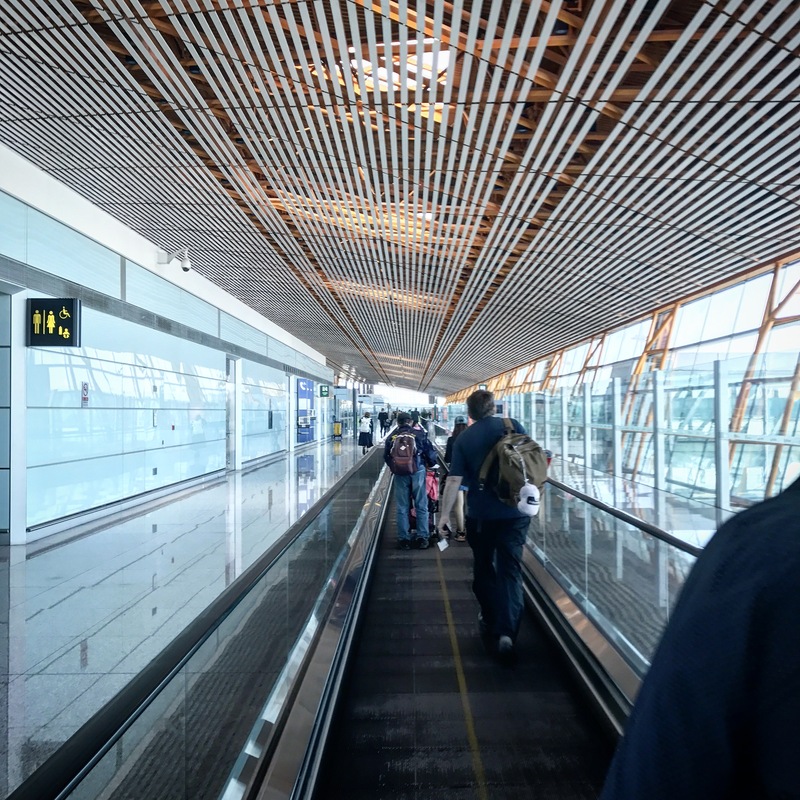 Inspection for transit passengers is slow and intrusive, involving two passport checks, taking a photo, baggage screening (often with staff removing items from carry on), passing through x-ray, plus physical frisking. I felt that I was being treated like a suspected terrorist. Few good dining options, and those that exist are expensive with so-so food. Several chain coffee outlets that are expensive. Many expensive duty free shops and a few high-priced shops selling local goods. As opposed to an airport like TPE or HKG, few interesting amenities for those waiting for a flight, although it's a great airport for walking. Free Wifi but it only seems to work if you have a Chinese phone number. Not Verified | Poor signage as to how to proceed once leaving the gate of incoming flight. Only 'transit' sign does not indicate it is for passengers with ongoing boarding passes only. So stand in queue for 10 minutes only to be told need to go to another lot of queues. No signs inside airport how to get from one terminal to another, no one to help. Took a total of 90 minutes to get from one flight to another including 3 lots of security checks and 2 immigration checks. Missed connecting flight. Have contacted airport since who don't acknowledge problem or how they will improve. 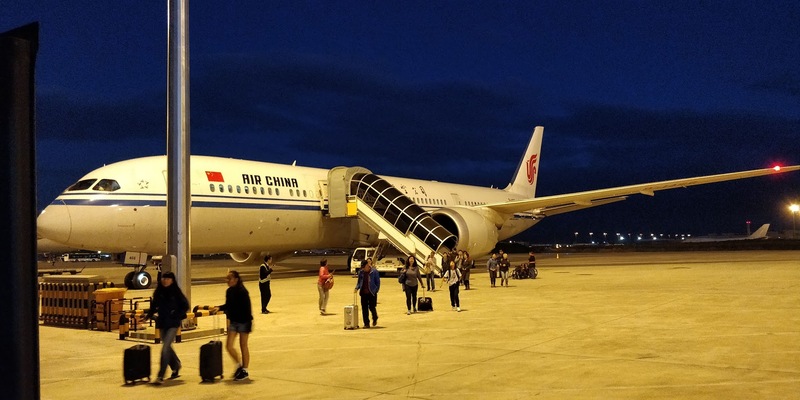 ✅ Trip Verified | We visited Beijing twice as a transfer hub twice during our trip. Both of the times were absolutely horrible. Terminal 3 was just a horrible mess when it comes to navigating to your gate. Also every other place was being renovated, so it looked more like a construction site than an actual airport terminal. Security for us was not too bad. General rudeness was in the air with the staff there. Also on the way back I got to witness a family being treated like trash due to the fact they didn't have common language. Shopping was pretty ok in general. On our way back we went to get something to eat and had to ask the food on the go, since our order took for ages. We noticed that people who came after us and ordered more food than us got theirs way before us. I suspect, that they had our food ready, just forgot to bring it. Once we got to the gate and prepared to chow down quickly, we noticed that the order was completely wrong. In the end we tossed more than 3/4 in the bin. Also, I wont let this be any factor in my review, but the airport is completely non-smoking. So for all you smokers out there, prepare for the fact that you cant have a smoke between flights here. "what a mess to transit"
✅ Trip Verified | I experinced transit at PEK twice : with and without mobility assistance (I had an accident in between both transits). What a mess to transit there. Expect 1-2 hrs queuing to get through useless passport and hand luggage control (this is transit) There is a transit lounge (booked online) but nobody knows what about. I could not explore and find it by myself. English is limited, more so than in Vietnam for instance. Travel with mobility assistance (was in crutches, can't go far with them). I have been correctly picked by wheelchair staff at plane exit. Same queuing though (I'm not asking for privilege just note the waste of time for wheelchair staff). I've been sitting near a wheelchair station with plenty of space. Woke up 2 hrs later nobody, all wheelchairs locked and toilets / drinking water as far as it could possibly be. How I'm supposed to do? A bit later some staff unlocked them to move them out. I "stole" one and moved by myself across the airport to reach my gate. Not Verified | The airport's T1 and T2 terminals are old, small, and disgusting. The floor is very dirty and the walls are boring grey, white and blue; the wifi is bad; the seats seem to be old-fashioned and dirty; there are a limited number of shops, which look 80s, and cleaning crews are almost nonexistent. T3 of Capital Airport is good and modern, but you'd never want to depart in these two terminals.